EDIT: I got a good answer on electronics SE, you can check it out here. While desoldering the GPIO, I accidentally broke the capacitor C13 of my raspberry pi model B (2011.12 Rev7). It is the capacitor between RG3 and the GPIO pins. 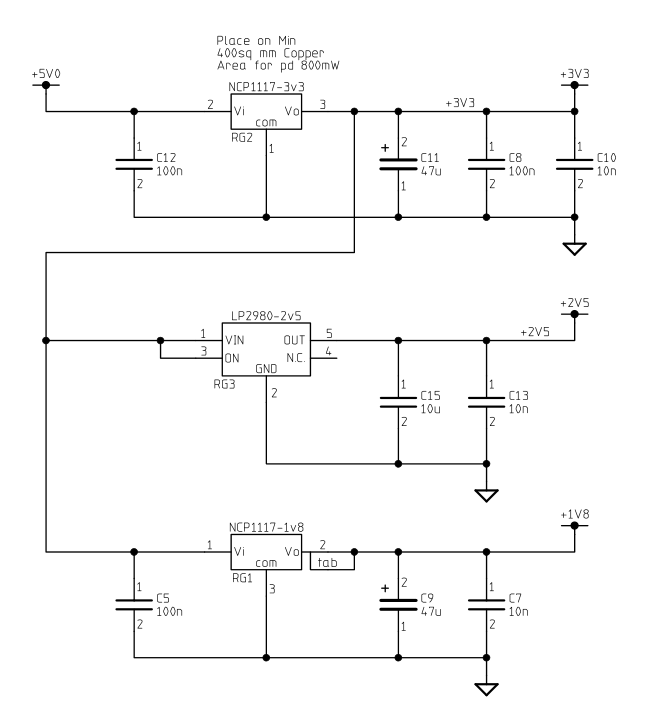 Looking up the schematics, it appears this cap is a 10nF cap connected on the 2V5 line to ground, parallel with C15, which is a 10µF. I spent about two hours searching for a similar cap in various salvaged components. I finally found one on an HP dv6000 internal wifi board. (I had to check every value I desoldered, one by one, kinda tedious). I did not solder it back yet, but i'll soon do. I also did not tried powering my pi with the cap missing. I wanted to know if there was any way to know that everything was back into order. What is the exact purpose of that cap, and how can I test that I soldered it correctly ? Browse other questions tagged hardware electronics or ask your own question. SD-spring broke and short circuit, what can I try?